Membury-based logistics services company, Walker Logistics, has been recognised for the environmentally friendly way that it operates its business. The company was announced as the winner of the Environment Award in a national competition organised by the United Kingdom Warehousing Association (UKWA) – the leading trade body for the UK’s logistics industry. The Award is presented to the logistics business that ‘demonstrates the most significant and successful application of green processes, procedures or monitoring’ throughout the year. The UKWA’s judges were impressed by a number of green initiatives undertaken by Walker, which include dramatically cutting the amount of waste packaging generated by its clients’ supply chains by turning in-bound transit packaging waste into protective material that is then used to protect outgoing orders. 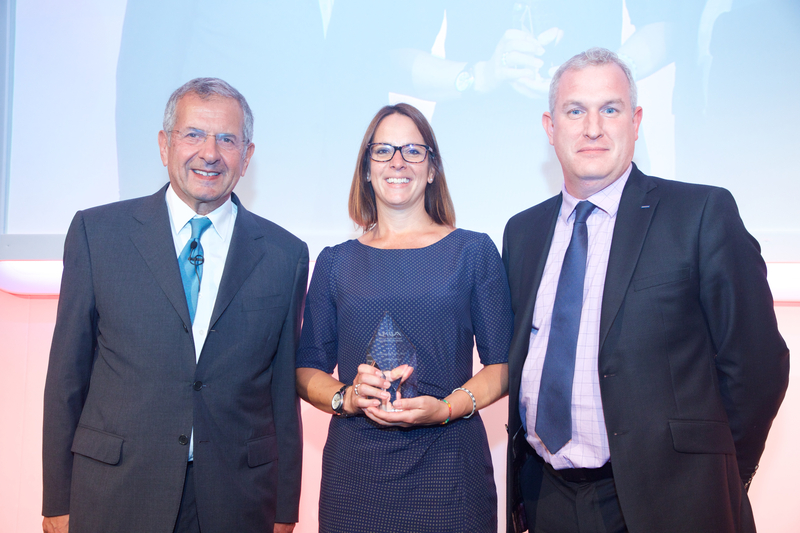 Walker’s general manager , Jo Denton, collected the sought-after trophy on behalf of the company at a glittering ceremony attended by over 500 professionals from the UK logistics industry at London’s Dorchester Hotel in July. Jo Denton commented: “Environmental commitments are an integral part of Walker Logistics’ day-to-day activities and in the past 12 months we have undertaken a number of ‘green’ initiatives that demonstrate our ongoing commitment to the environment. William Walker, Walker Logistics’ sales director, commented: “We are delighted and honored to receive this national accolade from the leading trade association in our industry. 22 year-old Sam Collins has been named Young Employee of the Year in a national awards programme that recognises excellence in the UK logistics industry. 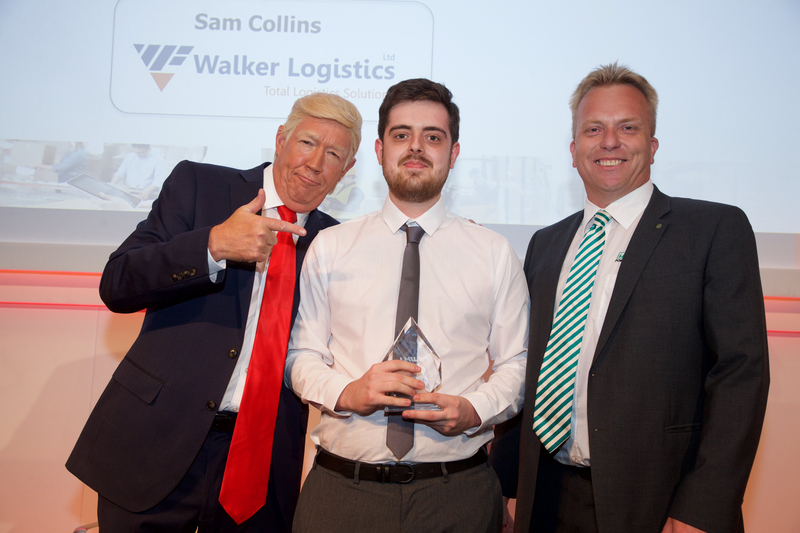 Sam, who works for Lambourn Woodlands-based Walker Logistics, collected the trophy in front of nearly 500 industry executives at a ceremony held at London’s Dorchester Hotel on July 4th. William Walker, sales director of Walker Logistics, commented: “The award judges were looking for a young employee who clearly demonstrates sound personal attributes and a high level of competency, combined with an enthusiasm for logistics and clear potential for the future. Since joining Walker Logistics at the age of 18, Sam has become a qualified forklift truck operator and recently completed an NVQ Level 2 in warehousing and logistics. He has already enjoyed two promotions at Walker and is expected to make further progress within the company soon. The awards event was organised by the United Kingdom Warehousing Association – the leading trade body for the logistics industry.